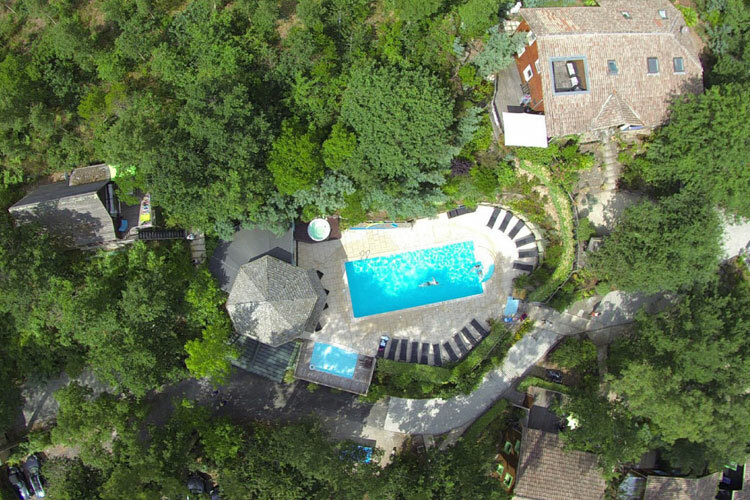 Welcome to Nature et Océan Messanges, a Village resort with heated pool and spa situated only 1600m from the beach. 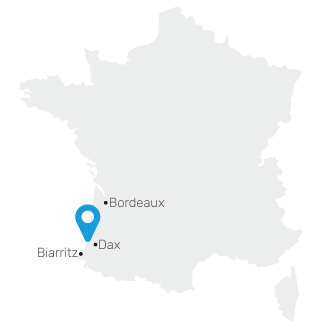 Find us between Moliets and Vieux Boucau in the Landes region of South West France. 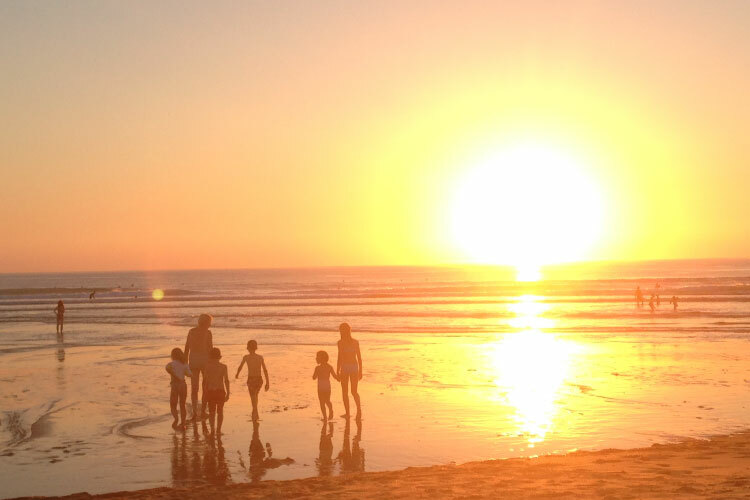 We offer lovely holiday rentals in a quiet peaceful and family oriented natural setting. In the South of Les Landes, Messanges is a pretty flowery village, ideally located between Vieux Boucau and Moliets and 10 minutes away from Seignosse, Capbreton and Hossegor. Messanges is also within a vast and wonderful 3400 hectar forest and boasts a 7mile long great sandy beach on the Atlantic ocean within walking and cycling distance. Nature et Océan resort offers holiday rentals fully equiped for 2,4,6, or 9 people plus a superb villa for 12 people. These lodgings are large cottages split into 4 units, each unit having its own outside deck terrace. All of them blending nicely into a green and shaded environment. 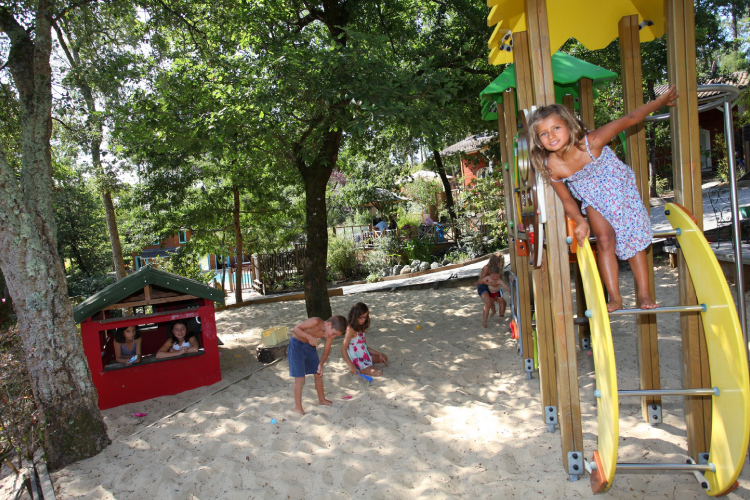 Nature et Océan is a family holiday resort composed of wooden cottages and ideal for children. Children quickly make friends either on the playground, around the pool or by the table tennis area. The homely and friendly aspect of the village gives a warm and relaxed atmosphere to the whole village. 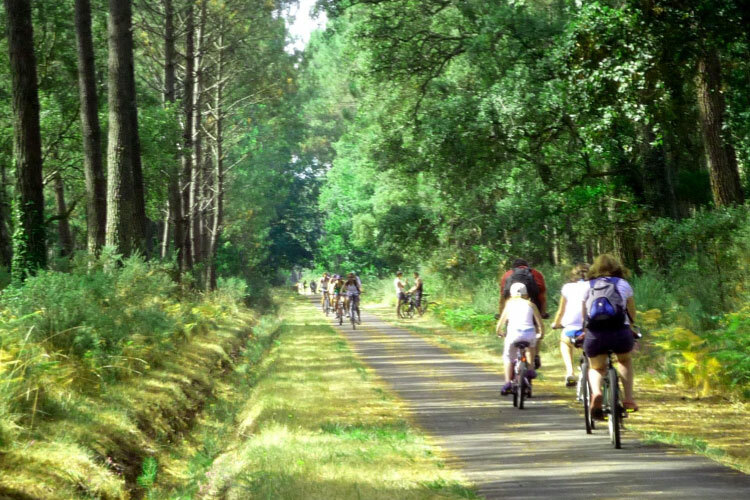 If your dream is to cycle in the Landes region, then Nature et Océan is the right place for you. Indeed cycling paths depart from our resort and enable you to do everything by bike. No need to drive your car during your stay. Local shops and restaurants 400 meters away, the beach is only 1 mile away, outdoor markets in the nearby and you will also enjoy lovely bike rides through the forest and along the coastal lakes. You may rent bikes and trailers for children on site or bring your own! Local village shops and restaurants within easy reach. Nature et Océan is very close to the center of Messanges Village. Turn left when you get out of the resort, walk along the field where brown sheep graze all day long, cross the wooden bridge and there you are! It is only 400 meters away. It’s perfect to go and buy Danish pastries, French croissants and your newspaper in the morning or enjoy a nice evening within walking distance. 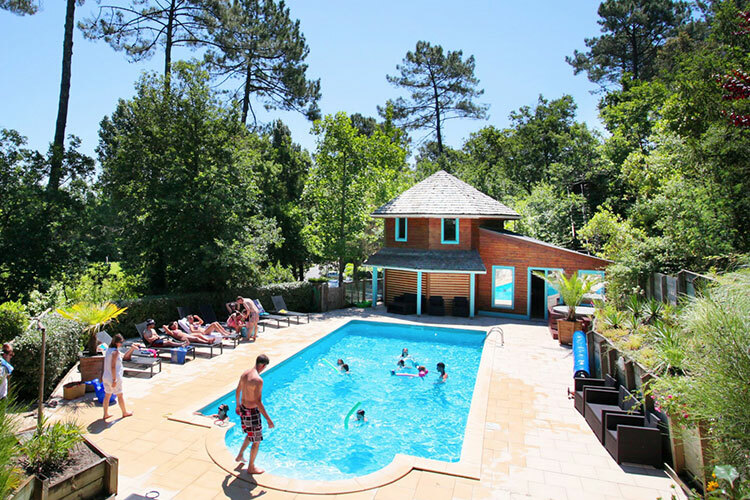 Are you dreaming of a holiday in les Landes, in the sun, in the heart of a forest and right next to one of the most beautiful beaches by the Ocean ? 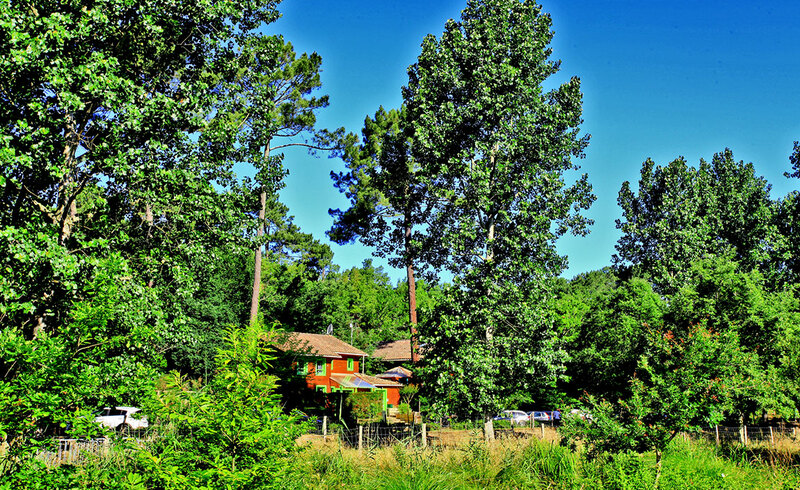 If so, we will have the pleasure to welcome you in very pretty holiday cottages on our resort called “Nature et Océan”, small charming resort within trees in Messanges between Vieux Boucau and Moliets, 10 minutes away from Seignosse, Capbreton or Hossegor. 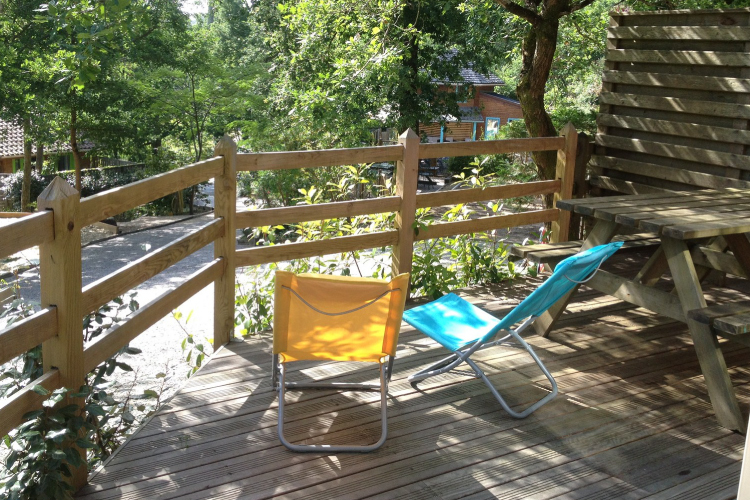 Rent a cottage for 2 to 9 people with a nice and comfortable terrace or a wonderful villa on the coast of the Landes area in an intimate, quiet and luxuriant family setting!